Diamonds and arrows in bold colors dominate the Gallop Duvet Bed Sets. 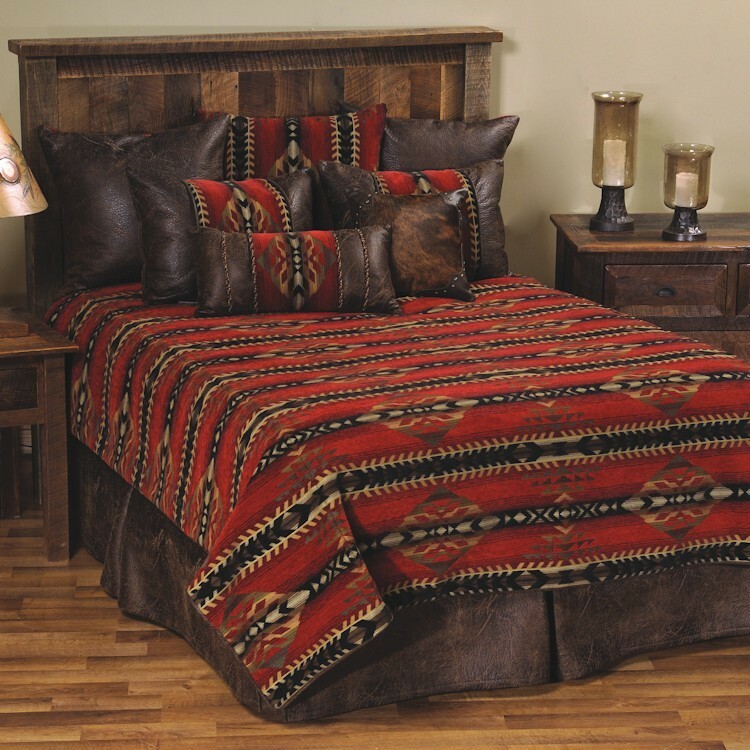 The polyester chenille duvet cover features a color pallet of red, black and gold with a touch of warm brown. 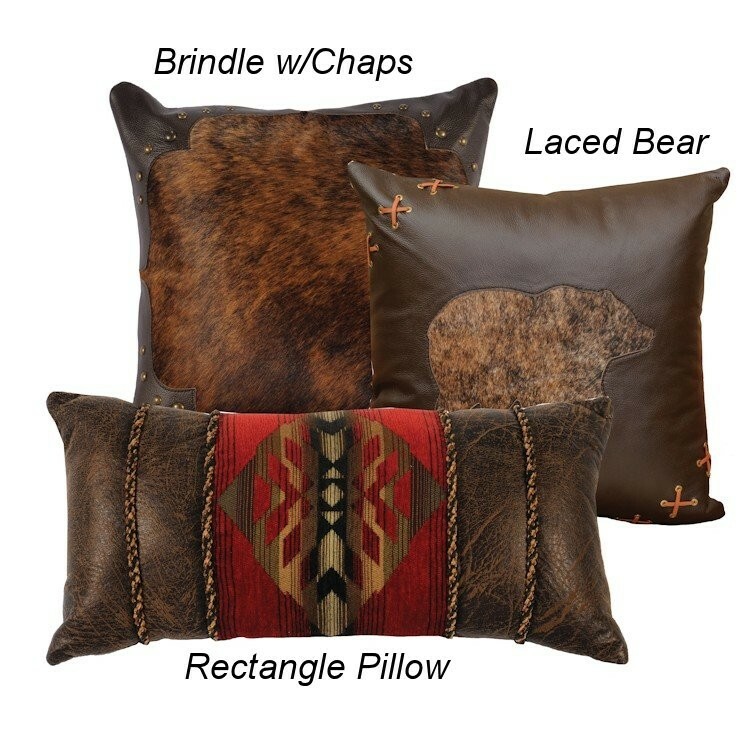 The pillow shams and euro shams echos the dramatic duvet fabric and are accented with the same distressed faux leather as the tailored bedskirt. 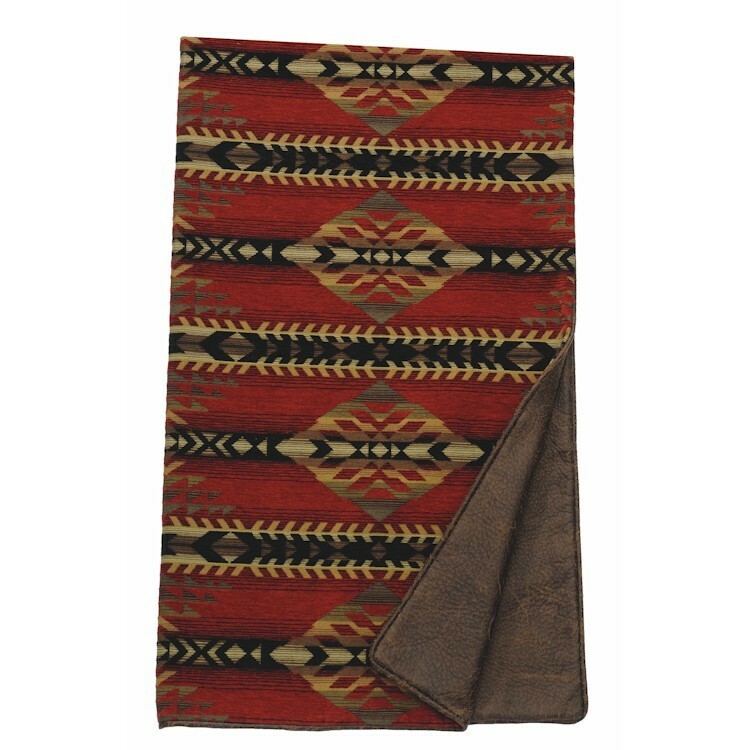 Each deluxe set includes the added luxury of three reversible euro shams. Diamonds and arrows in bold colors dominate the Gallop Duvet Bed Sets. 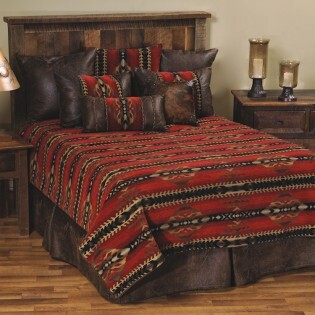 The polyester chenille duvet cover features a color pallet of red, black and gold with a touch of warm brown. The pillow shams and euro shams echos the dramatic duvet fabric and are accented with the same distressed faux leather as the tailored bedskirt. 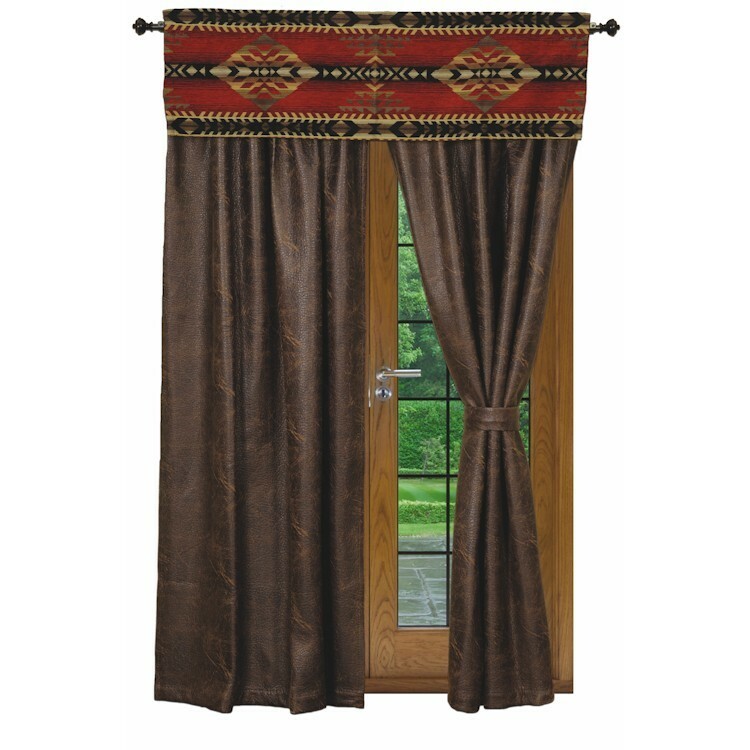 Each deluxe set includes the added luxury of three reversible euro shams.